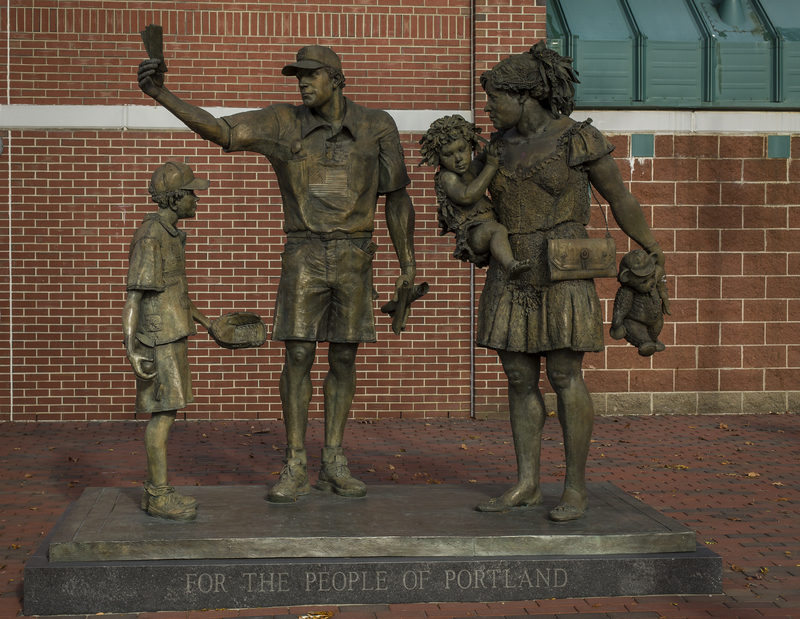 The Hadlock Field Family sculpture was a gift from Daniel Burke, owner of the Portland Sea Dogs, and his wife, Bunny. 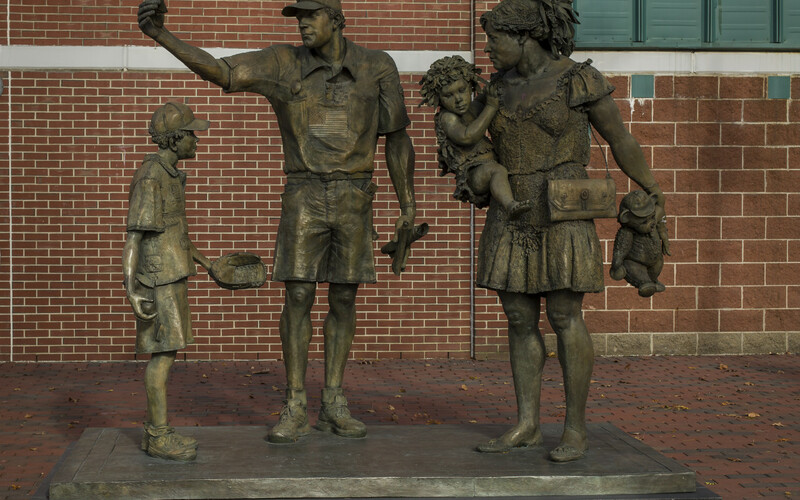 They commissioned artist Rhoda Sherbell to create a sculpture that depicted a family going to a baseball game. 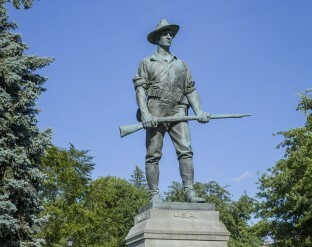 The acquisition of the statue ran into controversy when it was presented as a take-it-or-leave-it gift to the City. 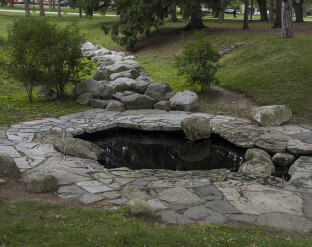 The representatives of the Portland Public Art Committee did not feel the statue adequately represented the diversity of Portland’s population and voted against acquiring the piece. 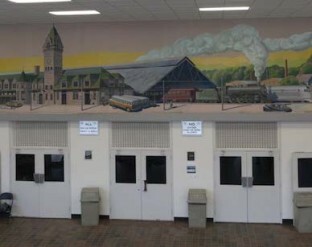 The committee also felt that art containing the logo of a private business, as this did with the Sea Dog emblem emblazoned on the males’ baseball caps, violated the public art ordinance. The City Council overruled the Committee and the statue was installed in front of Hadlock Field, home of the Portland Sea Dogs. Rhoda Sherbell is an American portrait sculptor who works in clay and bronze. She has had over 26 solo museum and gallery shows and is the recipient of over 50 awards. She is a member of the National Academy and of Portraits Inc., and is on the board of the Portrait Society of America. Ms. Sherbell was injured twice during the fabrication of this statue. She was hit with a foul ball while taking source photographs at Sea Dogs game. She also received a broken rib while working on the original clay sculpture when the little girl (weighing 300 lbs) fell on her.